Cast: Kim Nam Gil, Kim Joo Hyun, Jung Jin Young, Kim Young Ae, Moon Jung Hee and Kim Myung Min. Kang Jae Hyuk (Kim Nam Gil) lives with his mother, sister-in-law and nephew in a small village in the outskirts of Daegu. The village has nuclear reactor next to the harbor, due to that no fish are in the water, hence no fishermen. The sole live hood of the workers in the village is power plant, which Jae Hyuk does as well and his girlfriend Yeon Joo (Kim Joo Hyun) who works at the power plant information center. He lost his father and older brother because of the plant, so he hates everything about it – including working there. When an earthquake hits the village, everyone – including the president – is told that the quake didn’t affect the plant. But the reality of the consequence is much more severe and as Pyung Sub (Jung Jin Young) tries to warn everyone, unfortunately he is met by opposition. 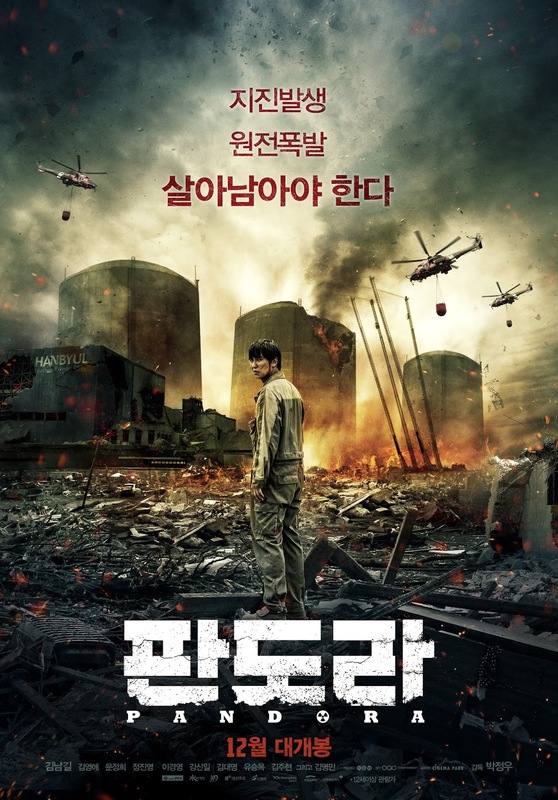 First of all I need to point out that I am a 'disaster movie'-fan, meaning I enjoy those adrenaline filled "gotta save everyone" thriller movies/dramas. There is just something about them that makes me ignore plot holes – so I sometimes rate them as great, but later realize how weak a plot or storylines they really have. Fortunately this movie had all: amazing storyline, great plot, loads of great screenplay and perfect acting. I don't think I have anything bad to day about this movie honestly. From the beginning to the very end it was perfectly paced and superbly executed. I think that due to the Fukushima incident this hits closer to home than older 'power plant situations' or stories, as they really are quite alike.